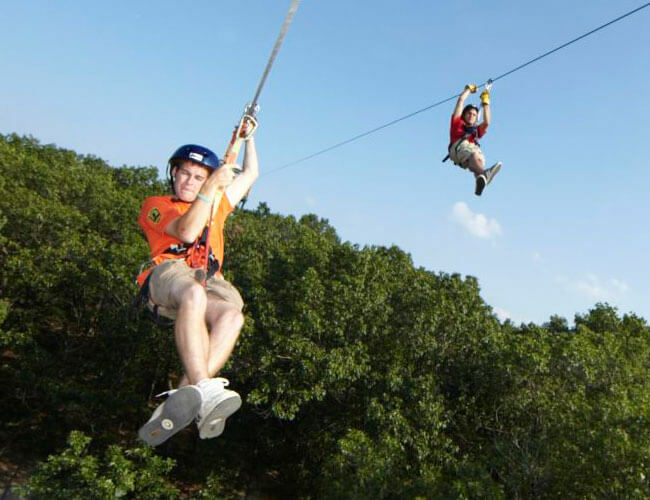 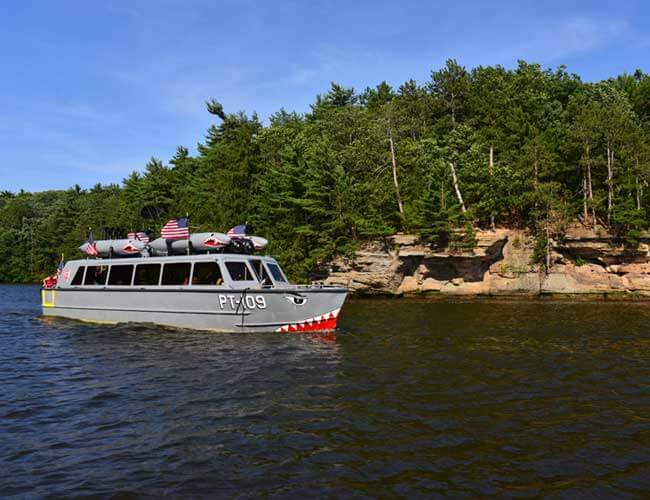 This 45 minute expedition is a tour of the Upper Dells rock formations inside the Wisconsin River Theatre. 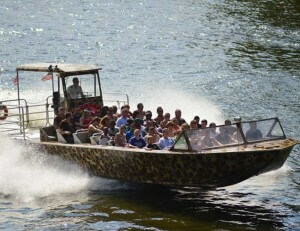 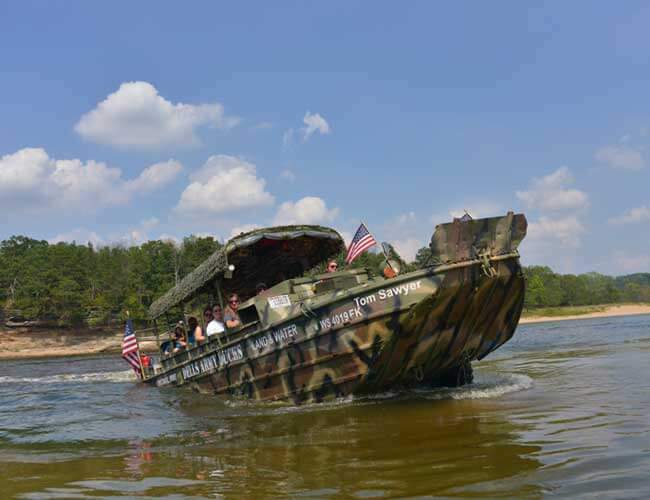 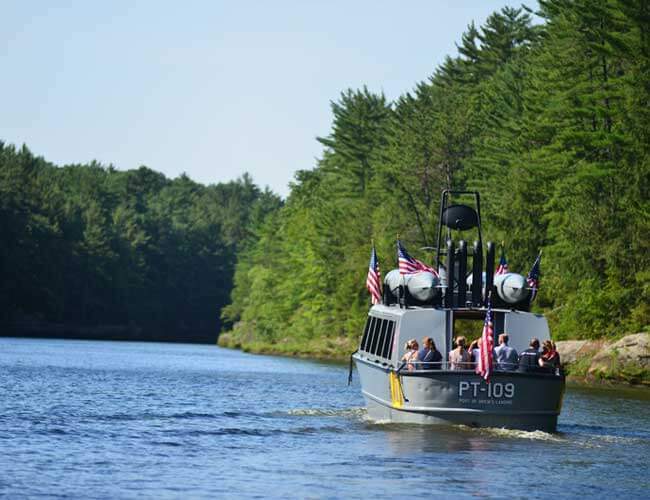 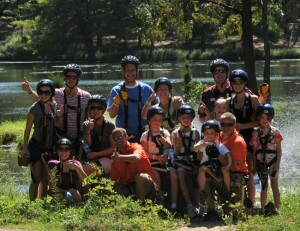 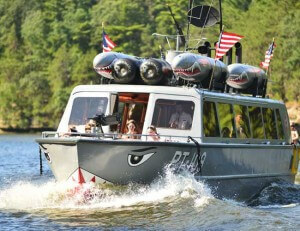 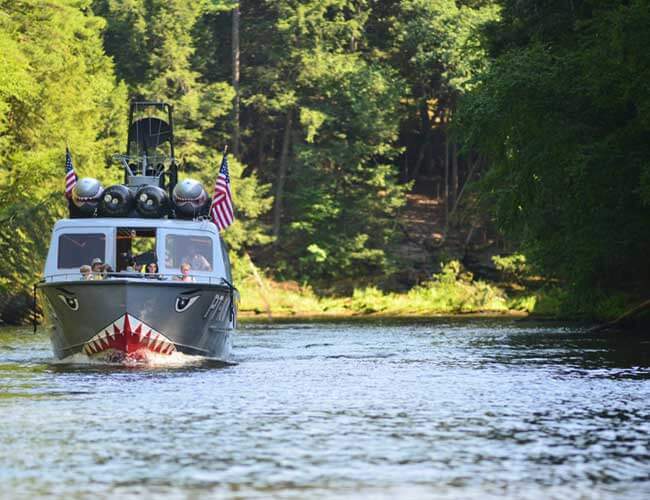 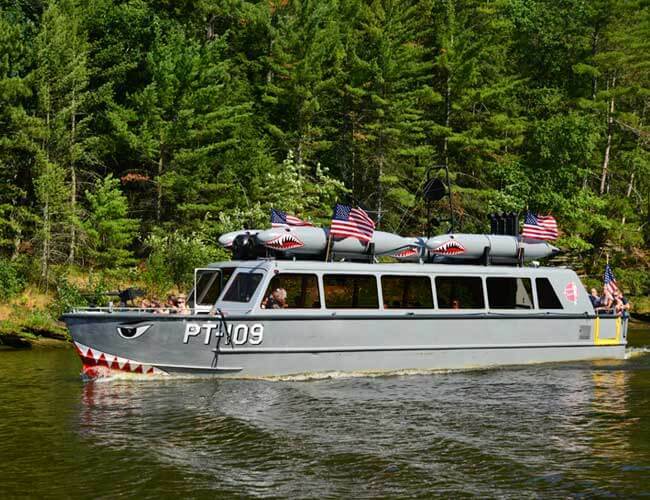 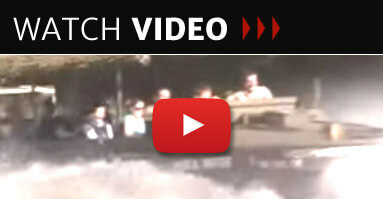 The boat tours in the Upper Dells is entertaining for the entire family. 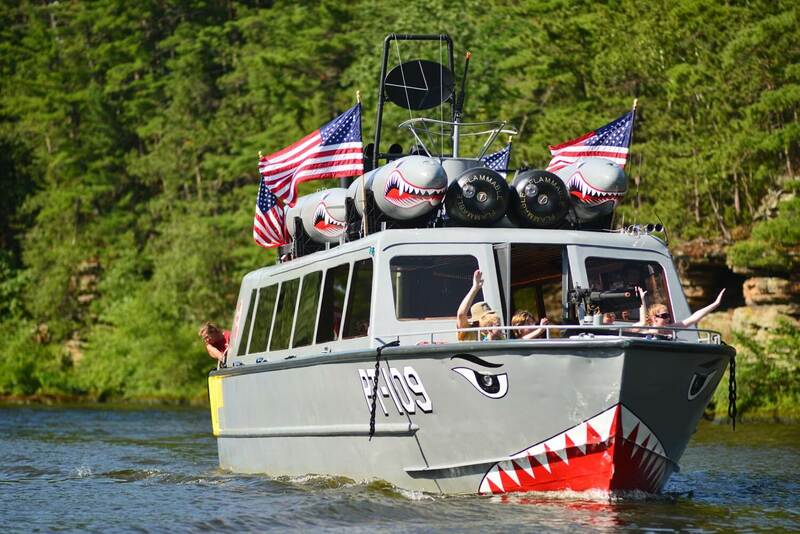 This boat may be rented for special events and parties. 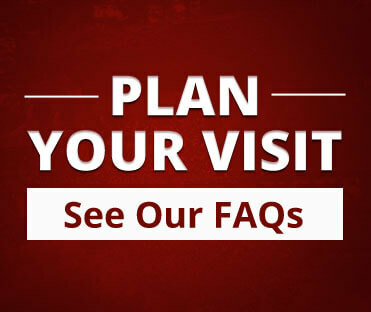 You can order tickets online at a discount price, by phone or at a ticket window at regular price. 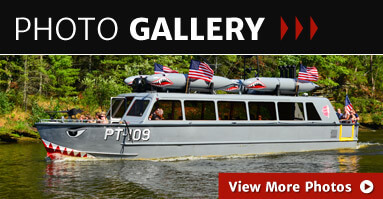 Once you have purchased tickets you can then reserve a tour time. 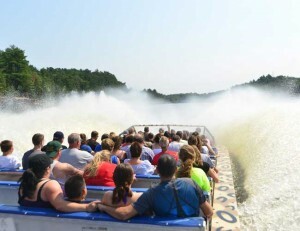 Please watch the weather that day and plan accordingly as all ticket sales are final.